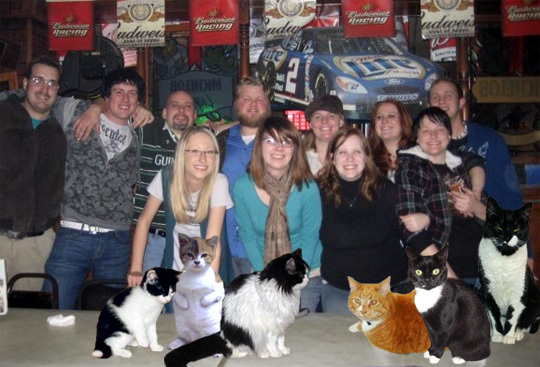 It's really hard to get all your Boozecats to look at the camera at the same time. These little guys are making it really hard on the photographer. Although the humans don't have it figured out yet either. That one woman is looking in a completely different direction.